Automatically generate easy-to-understand, written analysis using natural language generation within your Tableau dashboards. 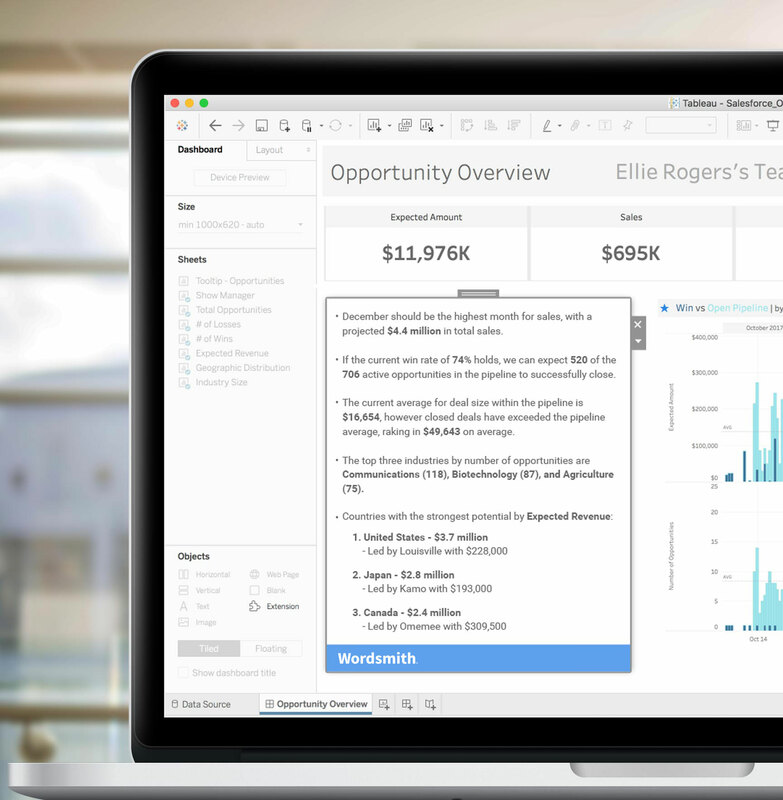 Learn how Allstate’s sales organization of over 10K agents and sales leaders receive personalized analysis in clear, natural language—automatically in Tableau. Drill down into complex data visualizations with the speed, power, and intelligence of NLG backing you every step of the way. Enabling our customers to leverage the power of Wordsmith narratives directly in Tableau is exactly what we envisioned when developing dashboard extensions. Combined with visual analytics, Automated Insights NLG allows more people to see and understand data in new ways and we look forward to continuing this great partnership for our mutual customers. Generate insights that adjust based on the viewer’s role, ensuring everyone receives relevant insights that help drive personal understanding. Discover how Wordsmith scales NVIDIA’s analytics team to support the many users of Tableau. 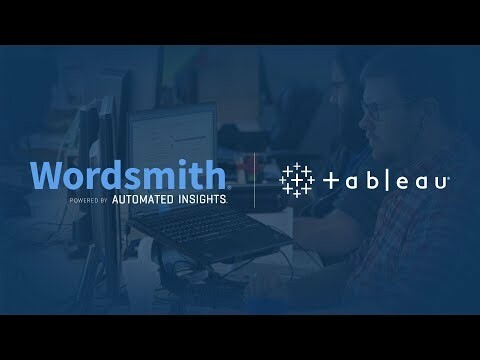 Integrate Wordsmith directly in Tableau using the new Extensions API. First things first, get set up with a Wordsmith account so you can harness the full power of NLG.